We're nearing the end of mulberry picking season here. We have more mulberry trees than I can count. 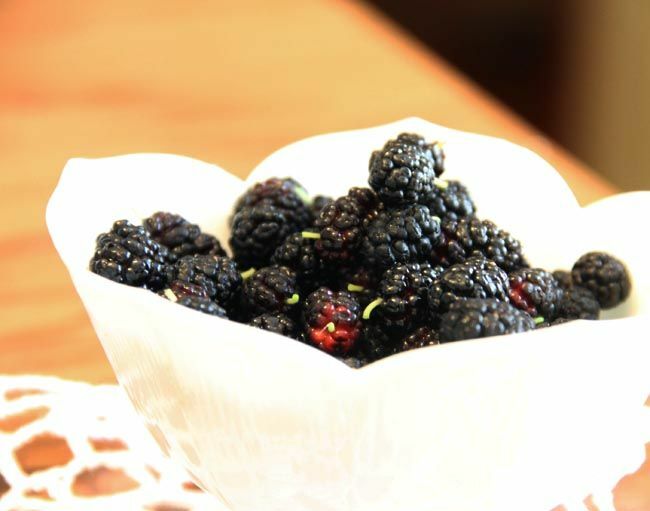 Mulberries are sweet and juicy, and look like blackberries. But their flavor is much milder. We pick loads and loads of them, trying to use them in every way we can imagine. They are an excellent source of Vitamin C, and also contain a good amount vitamin A, vitamin E, and antioxidants. They're also an excellent source of iron, which is unusual for berries. 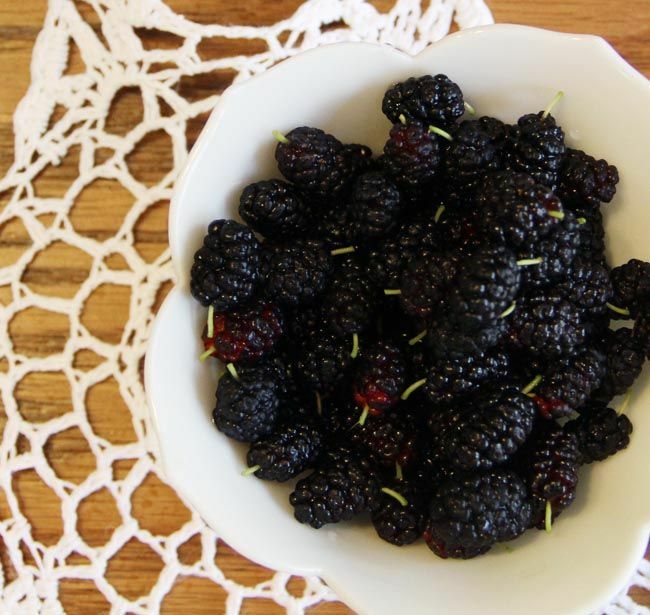 Mulberries have a high sugar and water content, so they spoil quickly, which is why you rarely see them in stores. They just don't transport well. We picked a bunch and took them to Missouri with us, and by the next day they were starting to ferment, even after being kept refrigerated. They are incredibly sweet... almost too sweet so we like to pair them with strawberries for tartness. We made Strawberry Mulberry Jam and it's delicious! 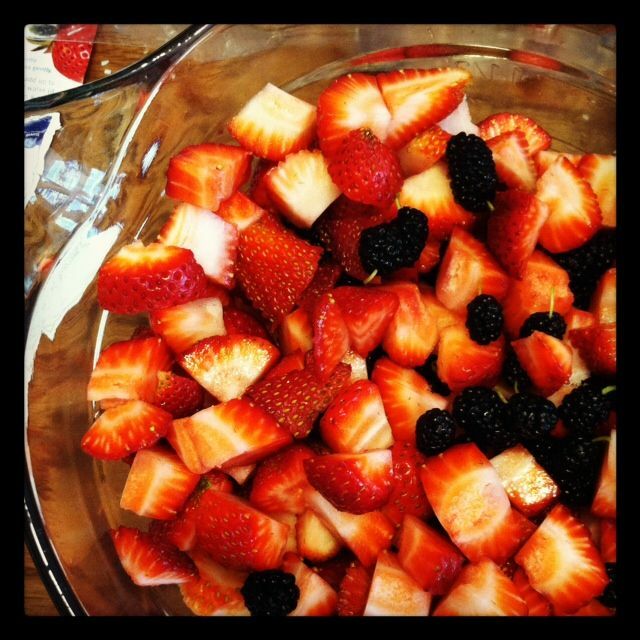 We also made Strawberry Mulberry cobbler and it knocked my socks off. We have trees that grow white mulberries as well. I've read that the white mulberries are native to China. 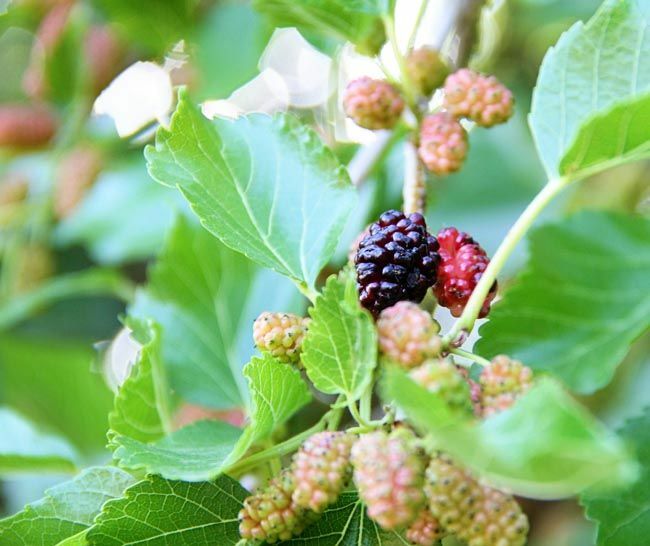 Mulberry trees are the home of silk worms. But in the early years of our country, the silk trade with China became too expensive so the English transported white mulberry trees to North America. This year we froze lots of them as well - we just washed them, laid them flat on a cookie sheet lined with parchment paper and froze them in a single layer, then transferred them to zip top bags. This way we can use them year round in smoothies! As much as I love them, I'm just about mulberried out for the year. We've had enough purple stained fingers, feet, and lips to last us until next summer when we'll get excited all over again. And now... we move on to our apricot trees. they look beautiful and yummy. i have never had a mulberry. Their mulberries??? No way!! 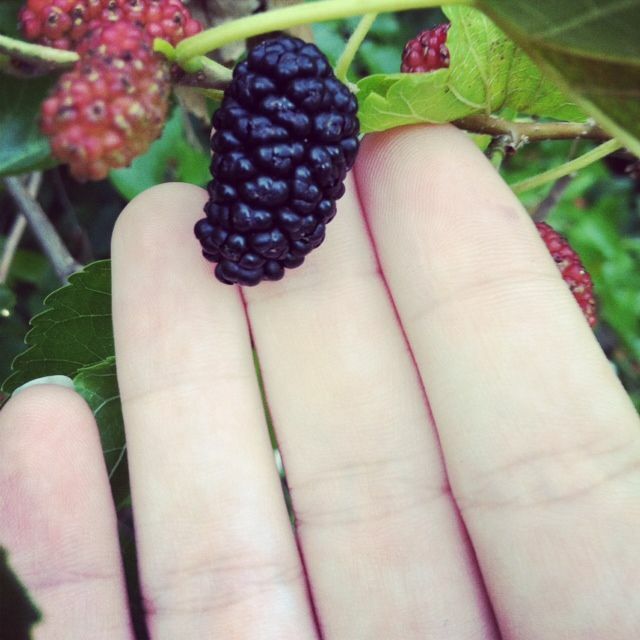 I just posted today on my blog abt our wild blackberries. 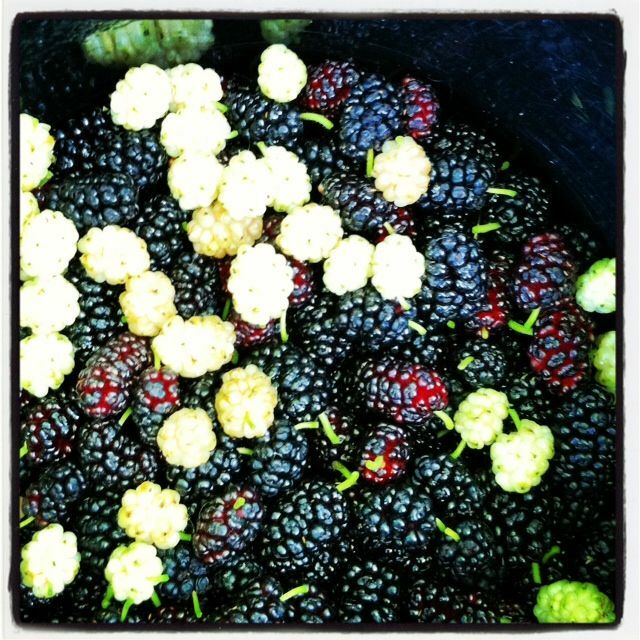 Who knew they were mulberries ;) very cool. first the wheat, now the mullberries...I learn more here than I did in school! I've never tried a mulberry. Must go on a mulberry hunt. Did Dr. Seuss write a book about a mulberry?